As the Christmas goes by the new year is awaited. This is the time of the year when bookshelves are flooded with yearly planners, diaries and other cool stationary just to kick start the new year on a positive note. With each year we are moving further into the digital arena and have digital pads in our hands even for jotting down something. But, there are people like me who still believe in the pen, paper type of writing. I have written diaries for years and professionally being into Project Management and Continuous improvement, I tried my hands at planning last year. Planning day to day activities to a little bit of process improvement in my daily routine was the priority in 2017. 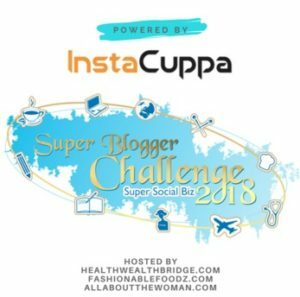 I could do a lot of changes to my day to day routine with planners. Often it is a challenge, but 2017 was meticulously planned and executed.. well at least 70% was as per the plan. 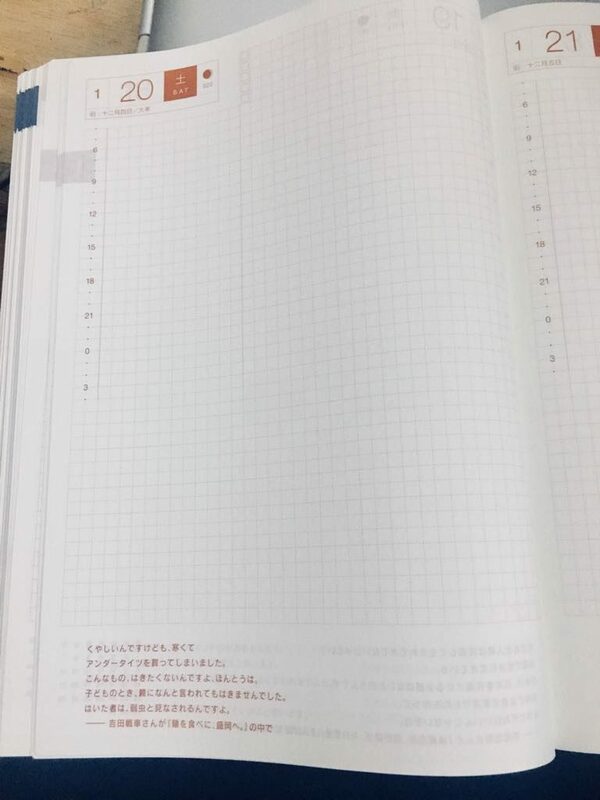 This time I have decided to write everything down in a Hobonichi Planner. 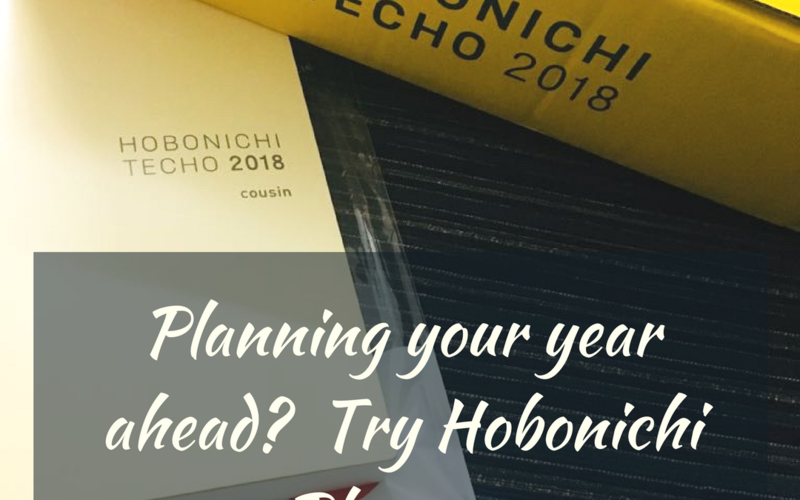 Hobonichi Techo Cousin 2018 is a yearly planner which is regarded all over the world at least in the planner circle. Why do you need a planner or a diary? You can schedule your work more efficiently with the planner. One can do more if all the tasks are laid down on a piece of paper. If the tasks are not done, one can reflect on it and can schedule it for the next possible time. The planner helps you to stay focused in the world full of distractions. 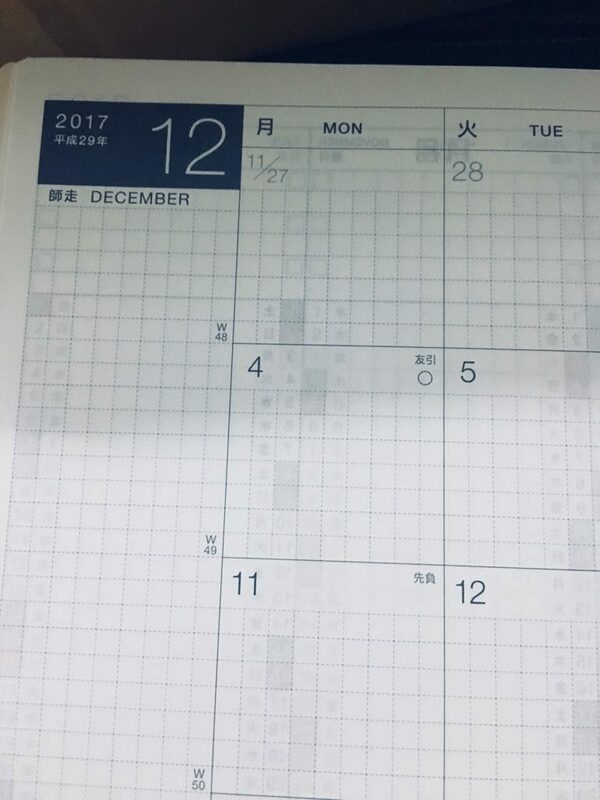 The most important aspect of any diary is the spread which is from the January (New year) to the December. Some journals have separate pages for every day, some of them club it. I prefer a full day spread because I write a lot. But carrying a massive journal is very tedious. Last year I had three journals, one had a weekly spread, another one had a full day spread and the third one had just plain pages to jot down any random thought anywhere, it was a pocket size diary with “Pencil, Paper, Action” written over it <3. 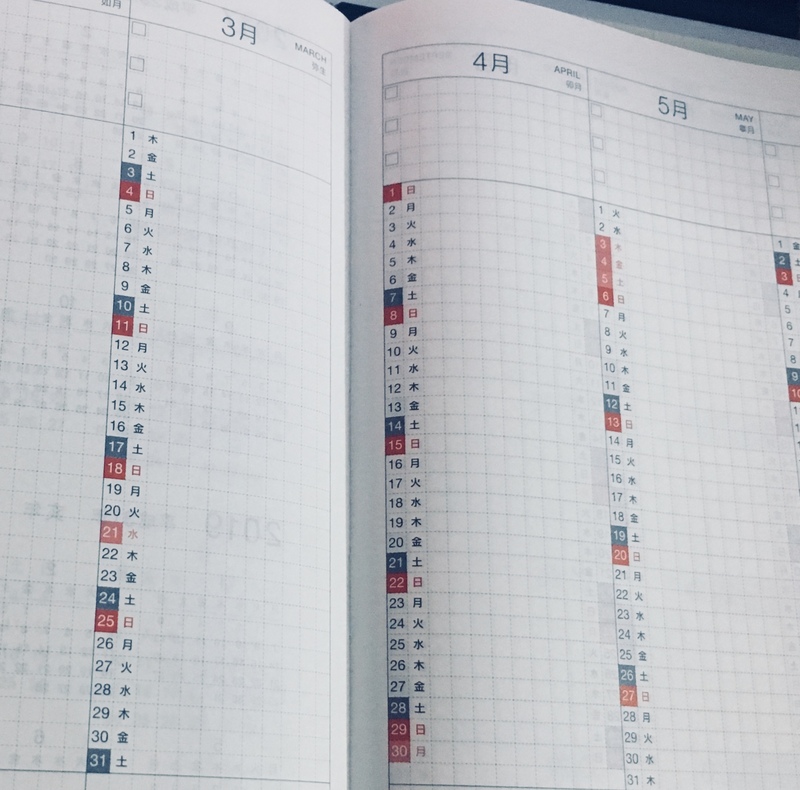 HOBONICHI Planner is all in one…Just a little bulky but better than carrying three diaries with you all the time. 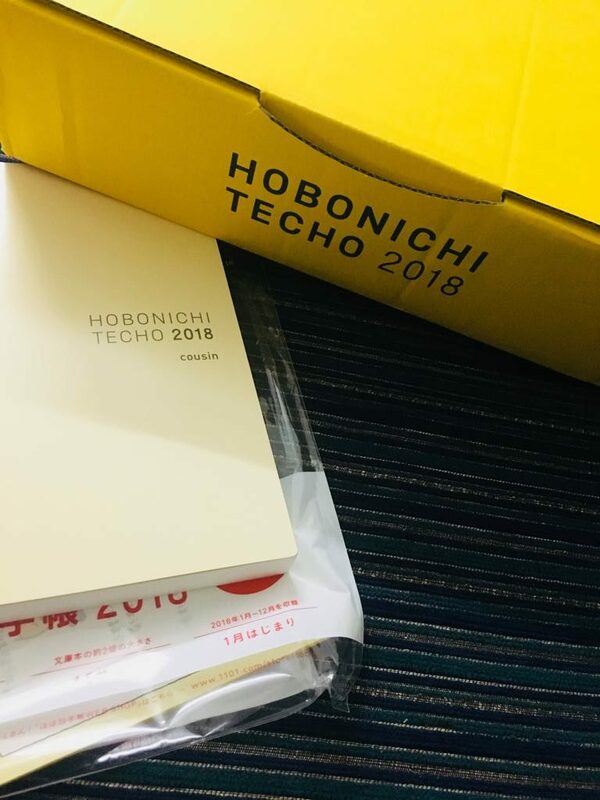 Hobonichi Main Page – I ordered Cousin which is A5 size – doubly bigger than the original Hobonichi Techo. 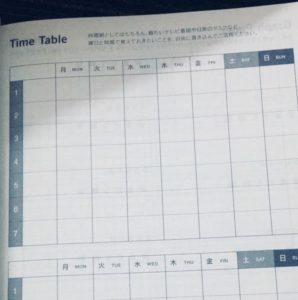 Hobonichi has a timetable which is so helpful in jotting down the routine and non-changing chores like watching TV or mundane household work. Having a timetable on the diary is such a blessing for forgetful people like me. 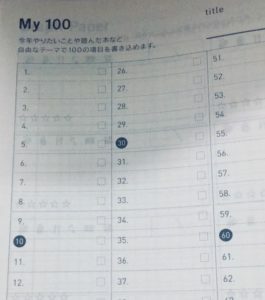 There are other things like a page for My 100 where one can include 100 important things one want to accomplish in the year. I know after all the new year wishes, and one more week it gets so mundane that no one will ever want to note down the 100 things and all..but how thoughtful is it to have a space in the daily journal. 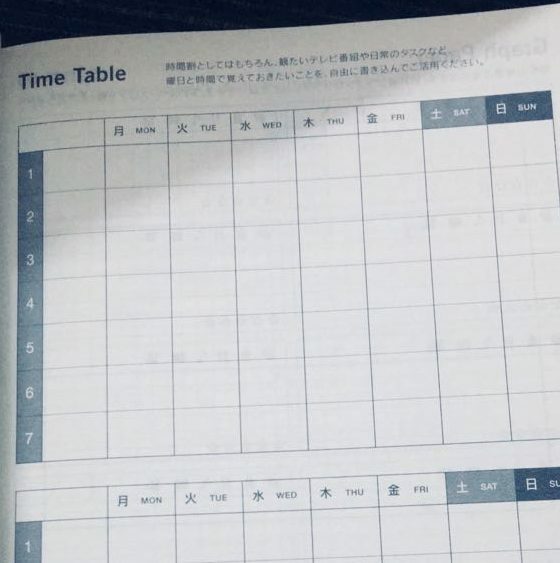 It also has age table which is Japanese, and I am yet to figure out how to use it. “Plans are nothing; planning is everything. Follow me on Instagram for more information on Hobonichi. 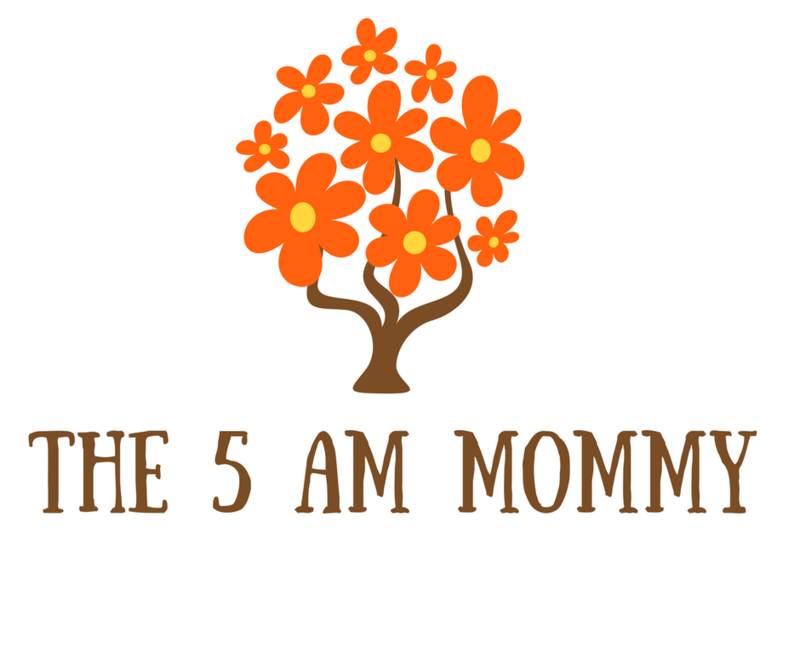 And like our page www.facebook.com/the5ammommy To get updates on The 5 am mommy. Misty Sunday morning followed, and there was indeed an absolute divinity in the atmosphere. The morning was like never before. A flock of people went on singing what is called “Thirupavai” along the road. Barefoot they were all decked in white veshtis! What a heartwarming recitation it was on the otherwise cold morning.Thirupavvai is the work of the Alwar saint “Andal” who was an ardent devotee of Lord Vishnu. Amongst the hymns in the Sāma Veda know me to be the Brihatsama; amongst poetic meters, I am the Gayatri. 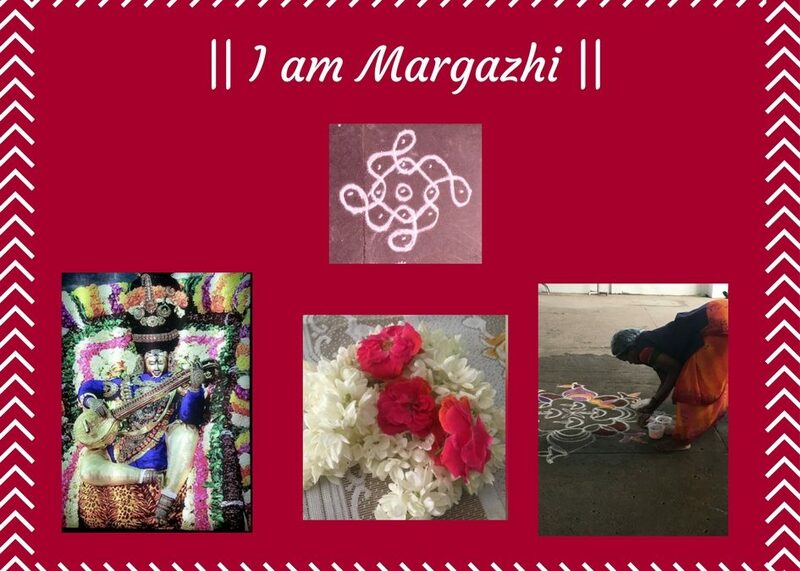 Of the twelve months of the Hindu calendar I am Margsheersh, and of seasons I am spring, which brings forth flowers. Today, we welcome the first day of Tamil month of Marghazhi! The month of inner peace and tranquility.The month when we can easily connect with HIM. The month of music-Marghazhi utsavam! The art form of music has always connected us to the divine. 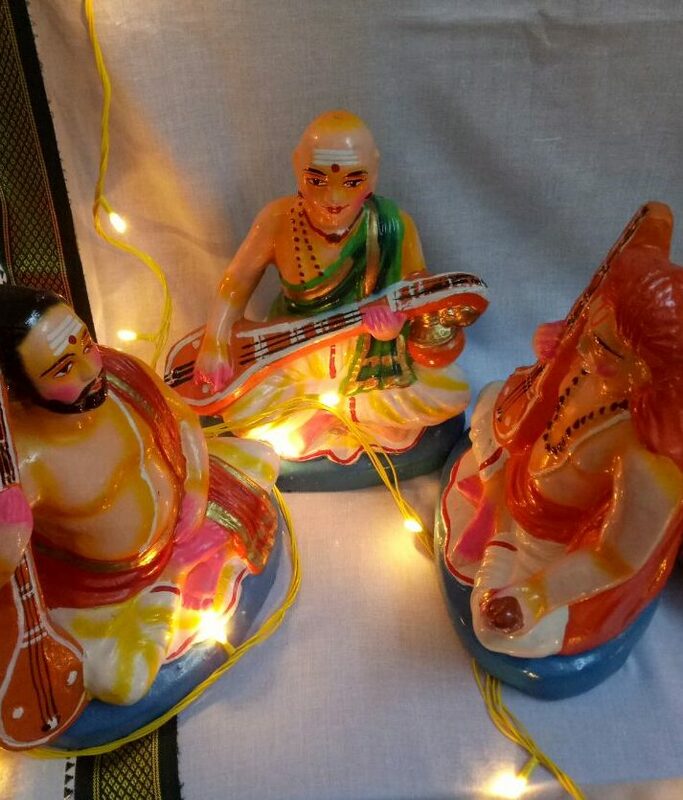 The various “kutcheries” Tamil word for music programs arranged in this particular month are instrumental to attain our higher selves by connecting to Him-the Marghazhi. He is the listener, and HE is the vocalist. The love for Music (Carnatic and Hindustani) abounds in Chennai when it comes to Marghazhi. The various Sabhas like Narada Gana Sabha, the Music Academy, the Brahma Sabha arrange various music programs in this month to promote and propagate the Carnatic and Hindustani music. Rangolis, kolams are a beautiful sight to the eyes and the naivedhyam of Pongal makes this month even more pleasant. God exists in all forms. God is the source of all: to know Him is to know all. Shrilekha Arun, The author is an ardent Vishnu devotee. Her daughter Anusuya, her four-legged Best friend Caramel keep her engaged. She is excited about her new organic vegetable garden. Why we should leave Virushka alone! I am not a political person, but when it comes to giving opinions I am an Indian 😉 Virat, and Anushka have got married two days before, and they are all over the internet. From Anushka’s lehenga to Virat’s pastel pagdi to the NRI priest, the Indian Janta has heard and seen it all. At this point, we have shown our genuinely Indian nature of forgetting the numerous trolls that we had posted on the social media when Virat famously did not score in the World Cup final or some match where Anushka was present. Twitter is abuzz with some trolls even after they got married but this time Indian Janta has taken it to heart and have lost their usual way of trolling. The wedding must have mellowed down the trollers. After all being true Indians we really love shadi baraat stuff a lot. Trolling the shaadi baarat stuff is just not the way how it works in India, we do occasionally share videos of bride falling behind the stage or the groom falling or landing in some goof up through Whatsapp, but we like the Shaadi as such so no trolling there. The Virat Anushka wedding has brought so many people into the limelight despite trying hard not to go public. The first and the principal person who got one full column write-up on the 13th page of National Newspaper, the NRI priest. The Lucknow girl who was the wedding planner also got a lot of footage as Virat and Anushka. Well good for them. The Times of India has reported the Priest has not talked anything about the remuneration. Times of India reporter should go to the wedding event planner (The Lucknow girl) to ask about the tariff of everything related to this marriage instead of asking the priest directly so that the Indian Janta gets all the information at once place. So far we know how much the hotel room charges per day and why only 50 guests in the wedding and the food which was served. I am still waiting for the more details because it is so so important to know what Virat whispered in Anushka’s ear when she walked down the aisle..and what did they speak during the engagement ceremony. 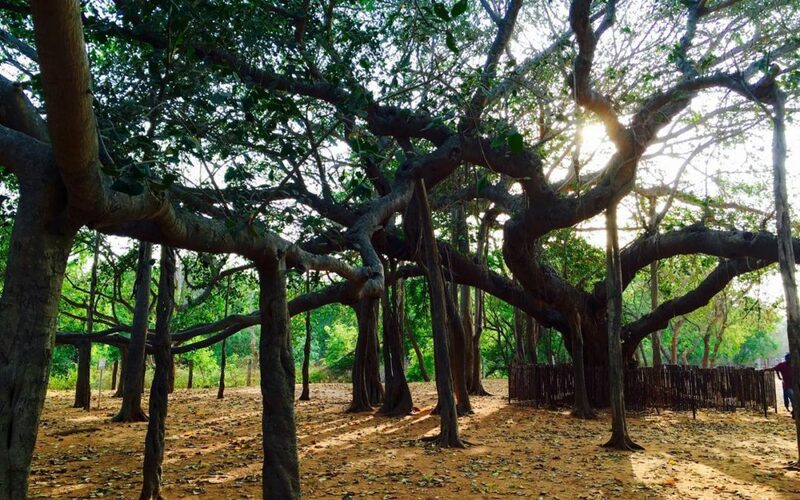 Tamil Nadu, is one of the travel destinations you should tick off your bucket list. 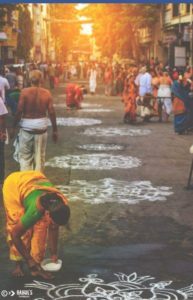 Vacation in South India is a pleasant experience during Winter, so this is the perfect time to visit the land of 1000 temples. 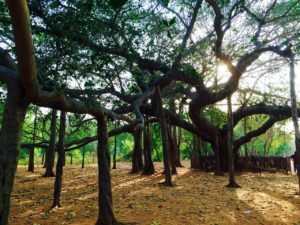 Here are some of the fantastic places you should go to South India for Vacation. s, this year Chennai has received its rainfall already, and the weather looks clear till the end of the holiday season. With the start of Margazhi month, musicians from different parts of the world travel to Chennai for concerts held in various sabhas. For a native Tamilian, this season is a music and food season, where after the concerts one can gorge on the tastiest South Indian delicacies from the respective canteens. If you are a music connoisseur and would like to listen to world-class Carnatic singers across the world, this is the right time. And many more beautiful temples around the city. 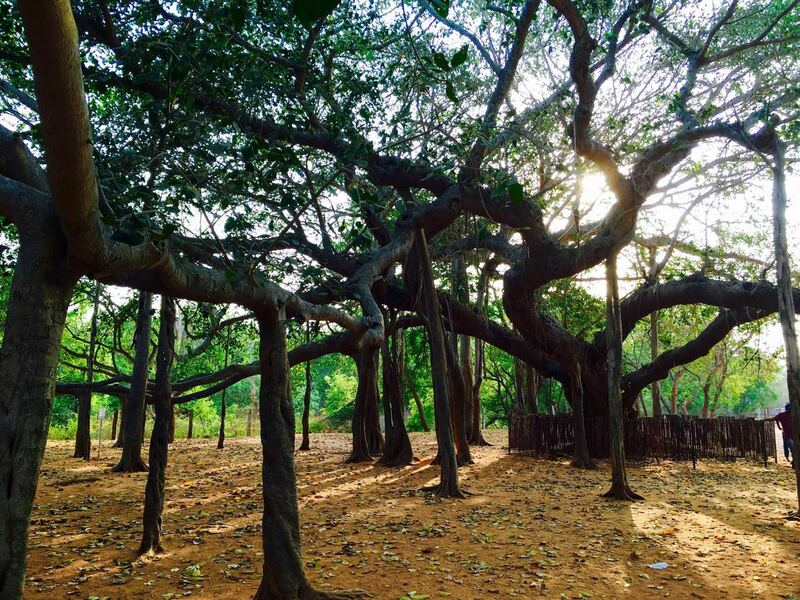 On a 2 hour drive from Chennai, Mahabalipuram awaits tourists throughout the year. Beautiful beaches are the highlight of Mahabalipuram. 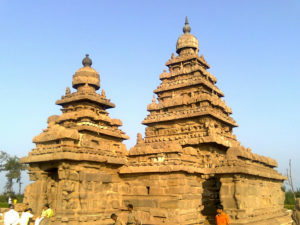 The Shore Temple, which has been standing there for eras has a historic tale to tell. What I love about Mahabalipuram is the Sunrise. Calm, away from the chaos of the city. Start as early as 4.30 am and reach Mahabalipuram by the Sunrise to just seek a glimpse of the beauty nature has to offer. Note: All the photos are taken from google.